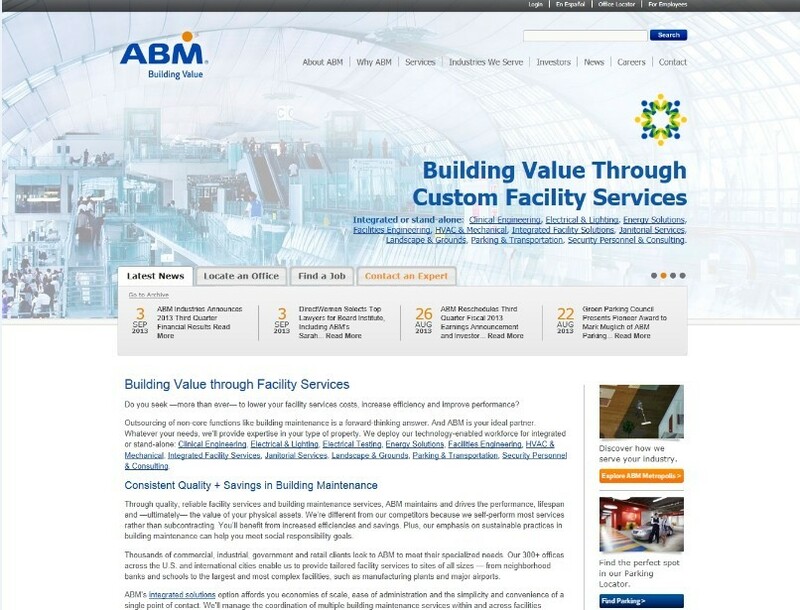 ABM is one of the largest facility management services providers in the U.S. We offer state-of-the-art, dependable building maintenance services cost effectively. Our substantial base of long-term clients demonstrates the importance that we place on building enduring relationships. As an ABM client, you have the advantage of obtaining multiple services under one contract with a single point of contact, making it easy for you to outsource these functions without administrative headaches. We provide any combination of services on a local, regional or national basis.